Venture-capital funding is booming in the United States. 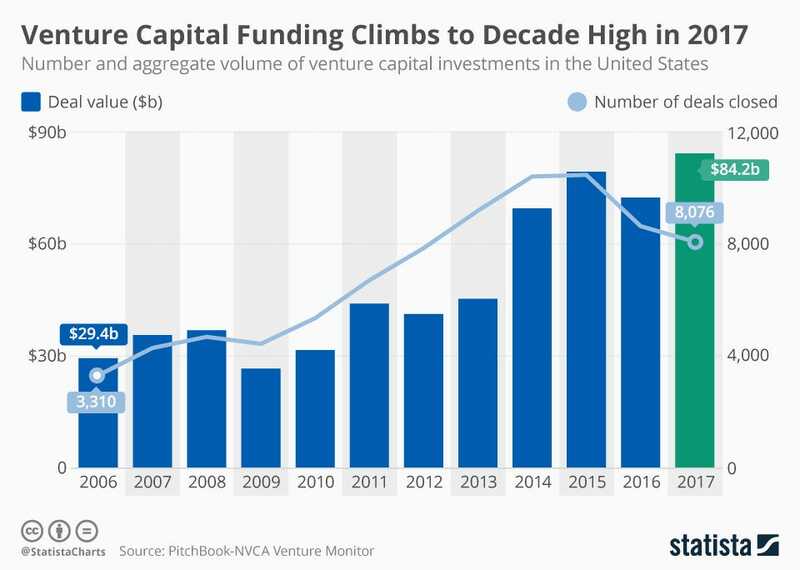 According to Pitchbook data charted for us by Statista, startup funding reached a record decade-long high in 2017, with $84.2 billion in funding raised over the course of the year. Pitchbook’s findings indicate the tech industry is becoming a key investment in the US.